We went to Costa Rica this past Fall for a self-retreat of writing, surfing, and yoga, sprinkled with long walks, good food, and sacred connections with the people and visitors of Nosara, which is nestled along a river at the merging edges of the jungle and Pacific Ocean. Meditations were also a part of our daily practice, and from one of my long, meditative walks along the beach, emerged this meditation that I use often, sometimes throughout the day, especially when I feel overwhelmed or stuck. I am grateful for the guidance provided to me by nature. I hope you will find this simple meditation helpful as as you envision the actions behind the words actually occurring with the help of the pictures (all taken in Costa Rica). Placing all my anxieties, sadness, hurt, and shame into this tree so that the waves will wash these feelings away and be transformed in positive energy for the good. With gratitude. 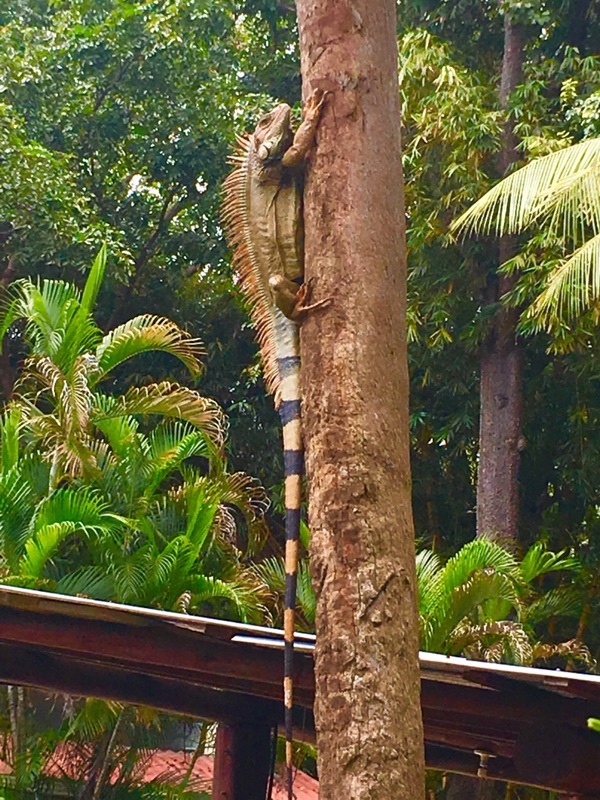 My blessings and gratitudes are given to this Gilded Iguana, which has graced this earth for years beyond counting, and which carries wisdom beyond the horizon. My intentions are given to this beautiful creature of flight, the pelican, which swoops down to grab our intentions and then lifts them to the sky and beyond, filling our intentions with the love and light of the sun.